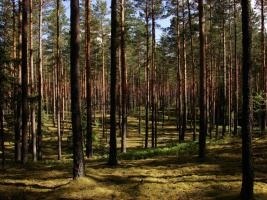 According to data from the Latvian National forest statistical inventory (NFI) forests and overgrown agricultural land cover 49.9% of the territory of Latvia. The total forest area (land covered by forest, land under forest infrastructure facilities, as well as clearings, marshes and glades) is 54.1% of the country’s territory. 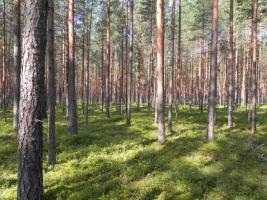 According to Food and Agriculture Organization of the United Nations (FAO), Latvia is the fourth country in Europe (after Finland, Sweden and Slovenia) with the largest proportion of forests and other wooded lands. In Latvia, forests are mainly natural systems. Most of them are naturally regenerated forests in which, however, there are indications of human intervention. Forests established by plantlets or seedlings account for 13% of the total forest area. There are not many primary forests (forests of native tree species, untouched by human intervention, where the ecological processes are not significantly disturbed) and they are mainly located in the strictly protected zones of Nature reserves and National parks. Regarding forest growth, approximately half (49%) of the forests are located on dry mineral soils. However, a comparatively large proportion of forests is also located on drained soils (33%), of which 19% are on drained mineral soils and 14% on drained peat soils. Forests on wet mineral soils cover 10% and forests on wet peat soils cover 8% of the total forest area. These five soil types create 23 forest types with different characteristics. These different forest types are indicative of the site’s production ability and determine forest mangement. Within one forest type, different forest stands can be found. Forests in Latvia are dominated by three tree species – Scots pine, Norway spruce and birch species (silver and downy birch), together they account for 73.8% of the total forest area (according to the data of NFI). The percentage of pine stands is 28.9%, whereas the proportion of spruce and birch stands is 17.0% and 27.9% respectively. The rest 26.2% of forest areas are covered by stands of black alder (5.1%), grey alder (9.8%), aspen (7.7%), ash and oak (1.5%), and other tree species (2%). Coniferous stands in general cover 46% of the total forest area, whereas stands of deciduous trees cover 54%. · Boreal coniferous forests. A very broad category, which includes forests on dry and wet soils. · Dry subcontinental pine forests located only on the dry and sun exposed slopes and in the valleys of large rivers. · Pine and birch bog forests. Forests on wet peat soils or mineral soils, where flora is adapted to bogs. · Wetland alder woods. The most frequent habitats are: floodplains at rivers and lakes, places of groundwater outflow, bogs and mires where there is tendency to paludification. · Broadleaved forests. The most common are mixed oak, ash, elm and linden forest stands. 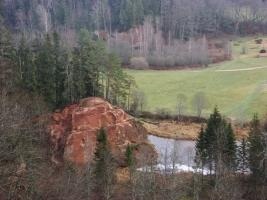 These forests are only found to river valleys, lake islands and primary broadleaved areas in Latvia.